Special classes: Our Preschool Academy includes Chapel, Music, Art, World Cultures, Physical Education/Healthy Habits, and more! Being a kindergarten-readiness program, we want to ensure that all students have opportunities to explore and learn outside of the typical classroom activities. Small group sizes: It is important to foster learning with low teacher-student ratios. We thrive to ensure that all children’s needs are met at their developmental level. Easy access: We are located conveniently at I-285 (exit 38) and Lawrenceville Hwy on the beautiful Rehoboth campus. Ample parking, a covered, pull-through driveway, and easy access to Hwy 78, Lawrenceville Hwy (Hwy 29), and I-285, will make dropping off and picking up your child a convenient experience. 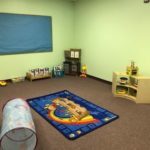 Age-appropriate curriculum: Rehoboth Preschool Academy uses Creative Curriculum which is approved by Georgia’s Bright From the Start. Knowing God: Equipping the next generation about God, His creation, and the wonderful relationship each child can have with him will be a part of your child’s daily activities. Because we are a Christian preschool, your children will also participate in Chapel each week. Safe & loving environment: Here at Rehoboth, we offer a positive environment where your child is encouraged and respected. Our teachers nurture their students in a loving, Christian environment. Our group sizes ensure the safety of our students, and our highly-qualified staff understand that your child’s safety is very important. Meals provided: Nutritional meals/snacks are served 3 times a day and meet the USDA nutritional guidelines. Breakfast will be served from 8:00-8:30 am, lunch starts at 11:45 am for infants & toddlers and 12:00 pm for preschoolers. Afternoon snack will be served from 3:00-3:30 pm. Qualified staff: Our staff is 100% first aid & CPR certified. 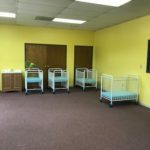 All staff will have a minimum of a CDA or Child Development Associates and will complete 14 hours or more of required training each year.